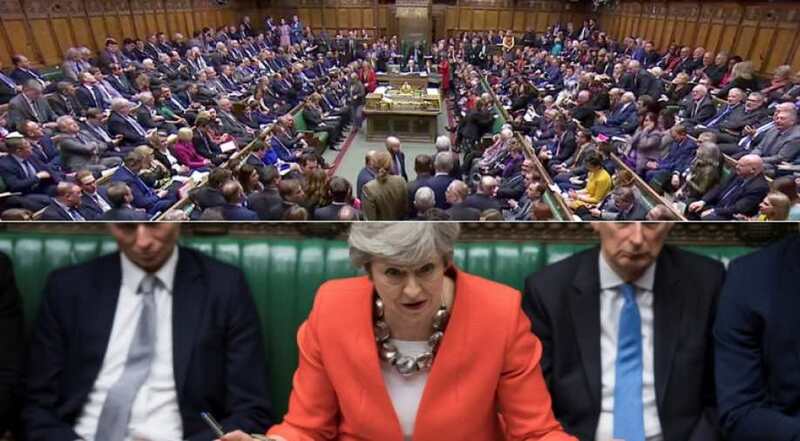 UK's Prime Minister Theresa May has been placed under great pressure from rival factions to seek a soft Brexit deal as Britain's exit from the European Union was in disarray. The third defeat of May's divorce deal, after her pledge to quit if it was passed, left one of the weakest leaders in a generation grappling with a perilous crisis over Brexit, the United Kingdom's most significant move since World War Two. The Parliament is set on voting on different Brexit options on Monday and then May could try one last roll of the dice by bringing her deal back to a vote in parliament as soon as Tuesday. But May's government and her party, which has grappled with schism over Europe for 30 years, was in open conflict. 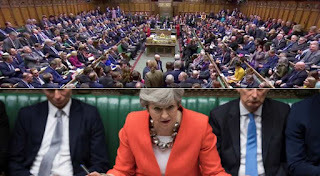 May's own enforcer in parliament said that the government should have been clearer that May's loss of her majority in parliament in a botched bet on a snap 2017 election would "inevitably" lead it to accept a softer Brexit. "The government as a whole probably should have just been clearer on the consequences of that," Julian Smith, known as the chief whip, told the BBC in an interview published on Monday. "The parliamentary arithmetic would mean that this would be inevitably a kind of softer type of Brexit," said Smith, who also said ministers had tried to undermine the prime minister. Their behaviour, he said, was the "worst example of ill-discipline in cabinet in British political history". Many in May's party, though, want a much more decisive split with the EU than May was proposing. According to 170 of her 314 Conservative lawmakers had sent her a letter demanding that Brexit take place in the next few months - deal or no deal.